The Type 053H3 frigate is recognizable for the two round 37mm anti-aircraft gun turrets on either side of its HQ-7 SAM launcher sitting behind the tandem 100mm main gun. The PLAN are believed to have 10 of these warships. Via China Military Online. It’s an established fact the Chinese military don’t bother keeping their activities in the contested South China Sea a secret. In what already passes for routine, this month started with a “maritime live-fire exercise” at an undisclosed location involving a flotilla of warships. Again, this isn’t surprising because the PLAN carry out a variety of activities in the area aside from its deployments to its artificial islands in the Spratlys. According to the PLA’s own news website, several warships plied the waves somewhere in the South China Sea between August 2 and August 9. 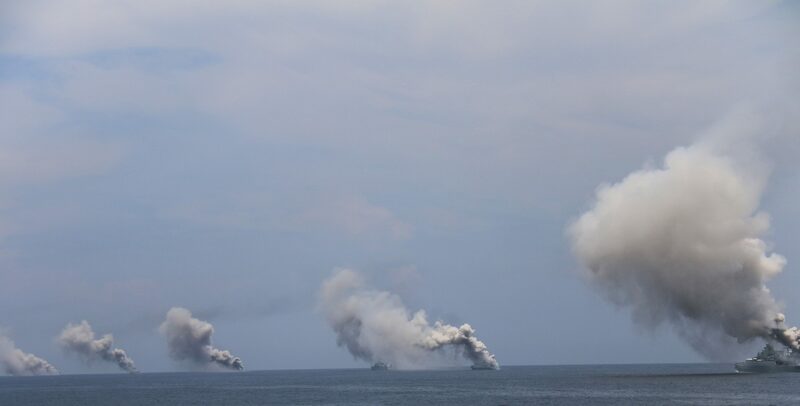 Photos released a week later showed the vessels testing their weapons and conducting emergency drills. A convoy of warships release their smokescreens. Via China Military Online. 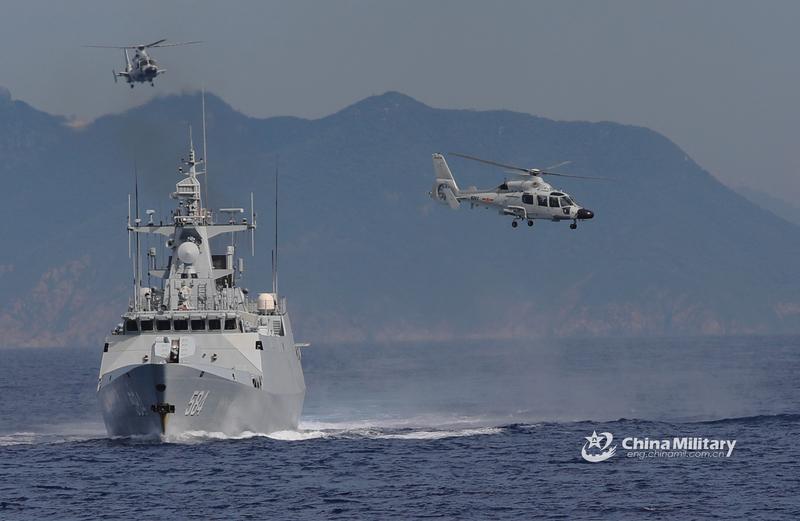 At least three frigates were identified by the PLA’s media as the Luoyang, the Meizhou, and the Luzhou. The photos of the exercise showed a half dozen vessels, however, and at least one supply ship. The PLAN’s frigates are notable for their newness and weapons. Nearly all were launched in the past 20 years, designed with stealth features and equipped with anti-ship missiles. Each of the frigates sent their anti-submarine helicopters–these are Z-9’s copied from the Eurocopter Dauphin–on brief missions too and this must be noted by analysts who are concerned about submarine proliferation in Southeast Asia. 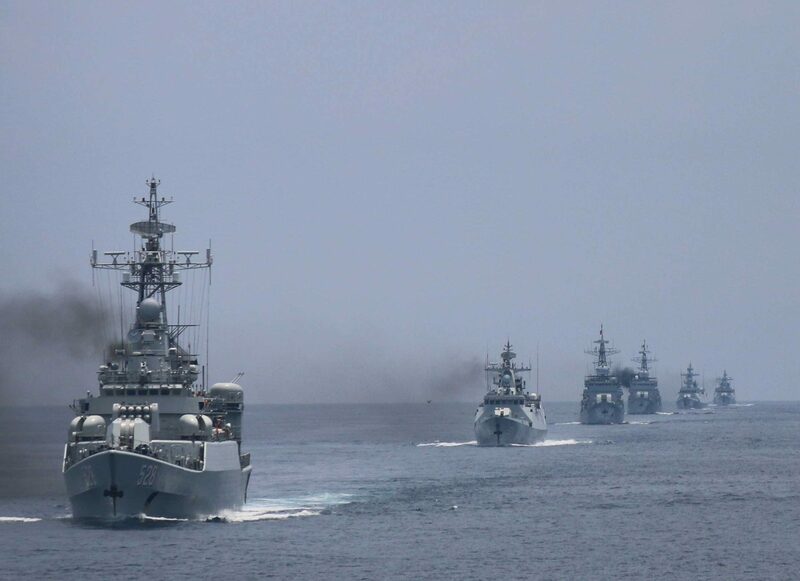 It’s possible the corvettes and frigates who participated in the exercise were sailing within Chinese waters off the Hainan coast, but there’s no way to verify this. While the PLA never share the intent of these demonstrations–unless they’re directed at Taiwan–they should give South China Sea claimants pause. 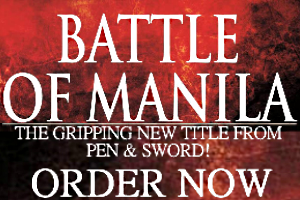 The amount of firepower the PLAN have showed off in the waters it treats like sovereign territory is enough to scare even its staunchest opponent among the ASEAN. Just days after these exercises were held, a BBC news crew aboard a US Navy P-8A Poseidon surveillance aircraft recorded radio messages from “Zhubi Reef” warning the Americans not to fly closer. The footage of the exchange showed the PLA/N airfield on what used to be Fiery Cross Reef that’s now a sprawling garrison shaped like a crescent. The BBC footage aired on August 11 included a short clip of Chinese messages directed at another surveillance aircraft sent by the Philippines to observe Mischief Reef, which has another functioning airfield. This is one of the PLAN’s newer Type 056 corvettes. Via China Military Online. There’s no longer any public evidence supporting the optimistic view that China is willing to share the waters it claims with the affected Southeast Asian countries. As the tempo of PLAN exercises began to rise since 2016, by January this year its warships have practiced fighting battles at sea followed by mock amphibious assaults on small islands and then more simulated ship versus ship action. These are happening amid separate exercises in the East China Sea and around Taiwan to intimidate its pro-independence government. When taken together with an ongoing naval expansion that looks like it will last until the 2020s and Xi Jinping’s own fierce rhetoric, it’s obvious Beijing is preparing itself for a dominant role in the Asia-Pacific and there won’t be any room to spare for other powerful neighbors.